One of the biggest web design trends of the moment is a parallax scrolling effect, which involves the website’s background (usually image) moving at a slower rate to the foreground. Parallax creating a three dimensional effect as you scroll down or up the page. It can sometimes be inordinate, but when parallax effect used delicately it can provide a beautiful, subtle element of depth. Trending Material Design and parallax technique, could be a great starting point to build your next web project. 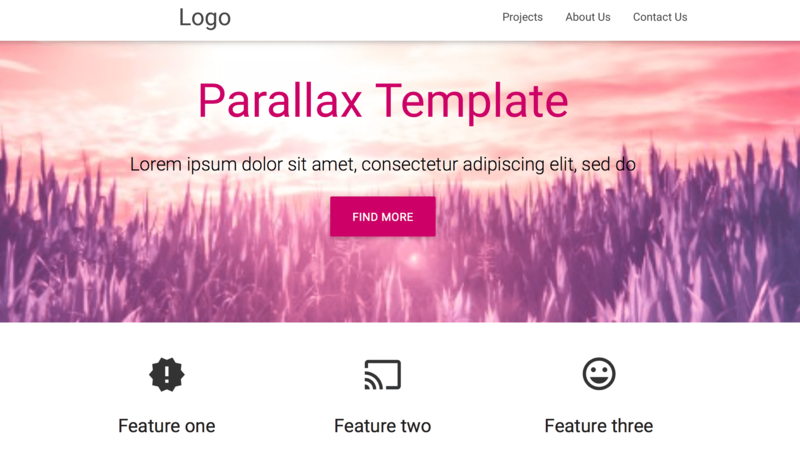 Check out demo and download this brilliant Material Design Parallax template for free!